Here are a few examples of the carvings and designs found inside the centuries old ancient Ajanta Caves which are mostly Buddhist caves. All the caves are filled with different type of frescoes, motifs, paintings and carvings. As these works were made from the 2nd century BC to the 5th century AD, time eroded the colours. The stone has also chipped in many places. Most of the photographs on this post are of carvings inside the caves and here flashlights are not allowed. Being fairly dark inside, it is difficult to get good photos. 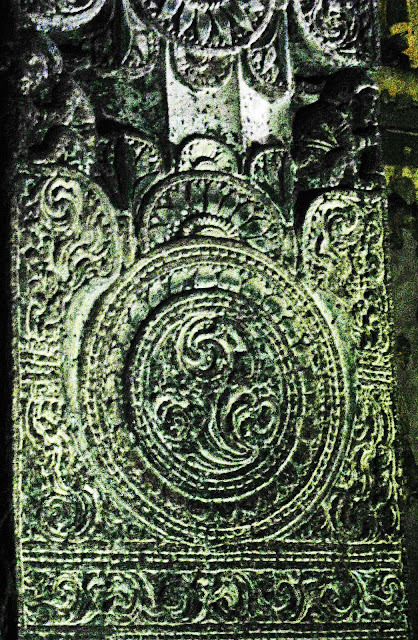 Many of the designs are found on ornately decorated pillars, like this one. The face here looks part animal and part human. 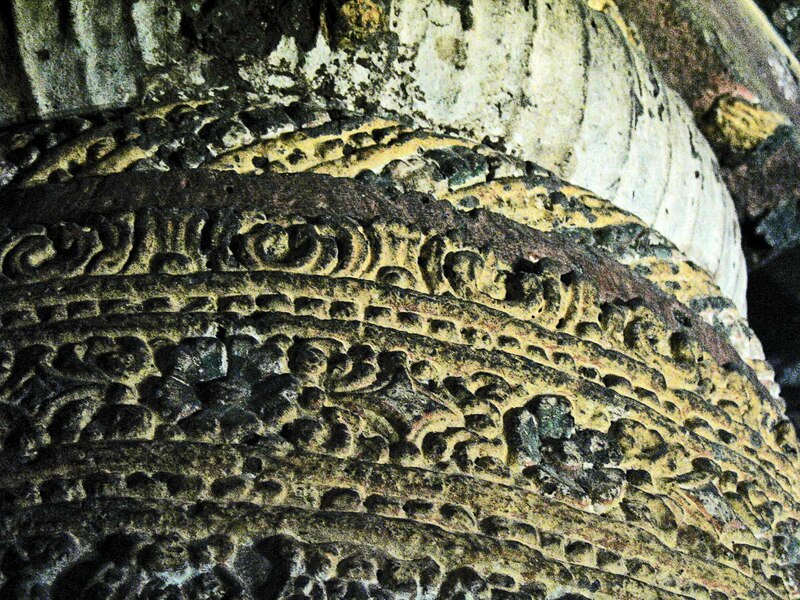 These floral type designs with tiny human figures were seen at the top of the pillar in one of the caves. These are primarily floral designs on a pillar at Ajanta. The greenish hue is because of the green artificial light shining on the pillar. 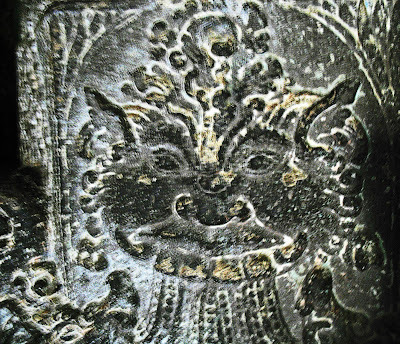 Carvings are also found on the exterior and the entrances. This is the entrance to one of the bigger and better preserved caves. The colors on the exteriors of the caves has worn off. 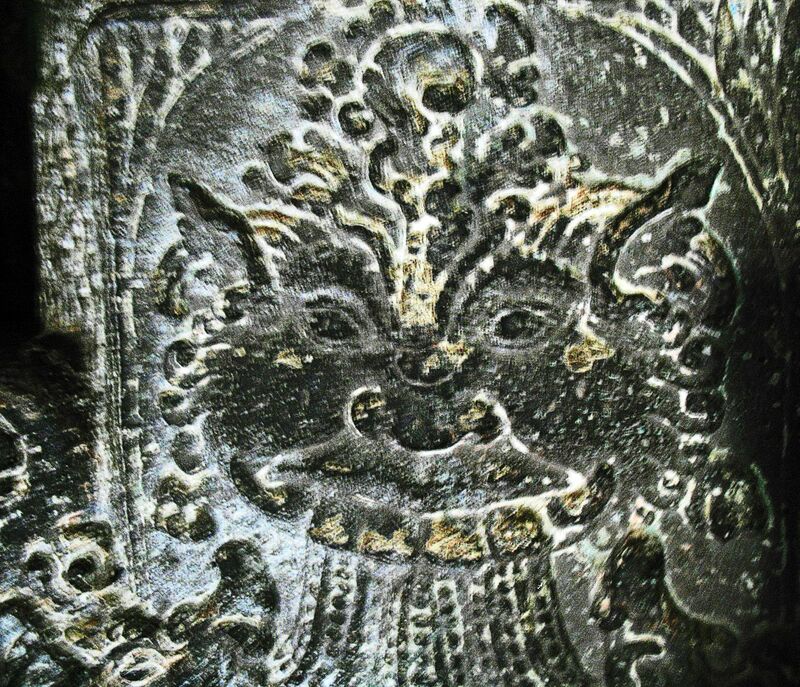 The intricate designs are interspersed with tiny animal and human figures. See more posts on Ajanta, including the famous Ajanta Paintings and Ajanta sculptures and figurines. 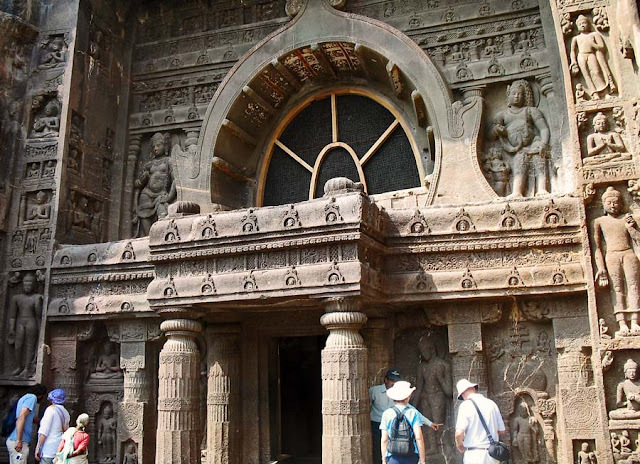 Check out the posts on the famous carved temples of Ellora.